The Patagonia Pipe Down Women’s Jacket comes with ample insulation, a nice fitting hood, and some waterproofing in there as well. This jacket would keep you toasty on even the super frigid days. It is more for the riders who don’t want to mess around with layering much and just want a toasty jacket. It has a little bit of a heavier feel than some insulated jackets I’ve tried but will definitely keep you warm. 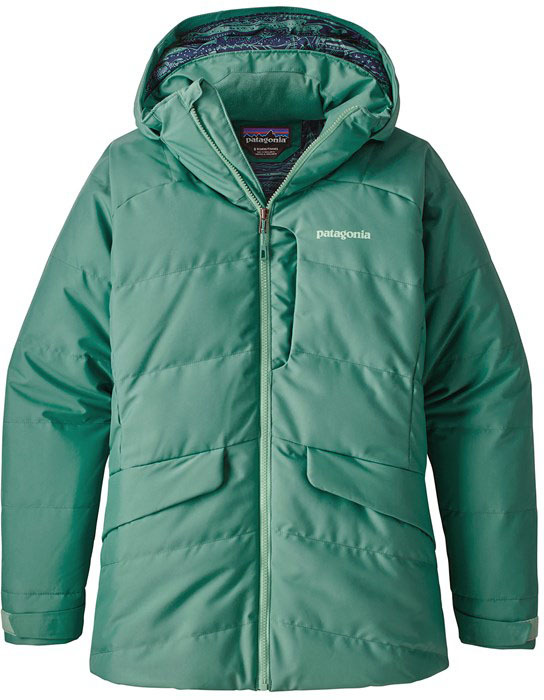 We try to get as many images of the Patagonia Pipe Down Women's Jacket, but forgive us if they're not all there.